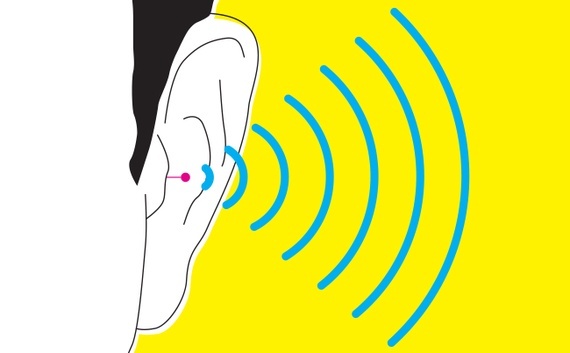 “What My Hearing Aid Taught Me About the Future of Wearables” @TheAtlantic « Adafruit Industries – Makers, hackers, artists, designers and engineers! The wearables I started wearing as a kid and still wear today are hearing aids—or, as my audiologist euphemistically calls them, “amplification devices.” Although many will never need hearing aids, today’s tech firms are making it likely that, someday soon, tiny computers will become extensions of your body, just as they have been part of mine for nearly 30 years. Thanks to that experience, I feel as though I’ve had a sneak peek into our wearable future—and I can make some predictions about what it will look like. The influence of algorithms is nothing new. They shape a lot of what we perceive online. When used in wearable devices that shape our perceptions of the world around us, algorithms can have a profound impact. For example, a device that reads facial expressions to assess moods could affect how you approach your boss, or whether you think your significant other is mad at you. Or a device that hides stressful visual stimuli could remove an annoying ad on your subway commute, but it could just as easily remove a helpful PSA. As wearables do more to reshape our realities, the way we perceive the world will become increasingly shaped by the algorithms that govern those devices.